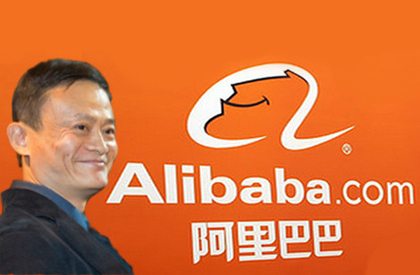 One of the most prominent e-commerce companies in the world today is Alibaba. According to Jack Ma, its founder, Alibaba’s existence is about helping to solve small and medium enterprise (SME) and customer problems. From the customer’s perspective, one of the most unique and engaging features of Alibaba is its payment system: Alipay. How does Alipay work? Let’s say you are a customer, Alipay holds your money and releases to the seller only when you are satisfied with what you have received. Alipay does not release payment to the seller until after 10 days after the product is shifted. Unlike Paypal, customers pay directly to the seller when the order is placed. This way, customers will always get their money back when their purchases do not meet the mark. With that in 2012, Alipay’s market share consists of about 50% of China’s online payment system with Tenpay at 20%, Unionpay Online at 9.3% and others at 21.5%. From the SME’s view, what makes Alibaba so interesting is in its ability to connect manufacturers and suppliers around the globe that produce and supply just about anything. In other words, it is also a match-making site for manufacturer and retailer around the world. If you are thinking of starting an online business yourself, you just need to fill up a bind request on Alibaba’s site and expect to get replies after a day of posting! The potential suppliers can be certified as “Gold Suppliers” if they have good track records. Manufacturers compete for the certification by providing relevant and accurate credentials. Alibaba goes through a thorough background check to ensure their credibility. The heart and spirit of Alibaba is social entrepreneurship. It is Alibaba’s intention to help the “little guys”: the less fortunate, cottage industries, the difficult to reach places across China and developing world. According to Ma, SMEs need more help and opportunities than the bigger and more established businesses. Therefore, it helps the “little guys” easier to make business anywhere. For example, Alibaba’s business alone helped logistics companies handle up to 1 million packages a day. 300 vehicles come and go on a daily basis. Two local logistics companies, Tabao and Tmall’s contributions to Alibaba’s needs grew from 10% (2010) to 85% (2014) of its packages. Besides the obvious direct benefits, there are several indirect benefits of this social enterprise. Alibaba helped create jobs in rural areas. When jobs are created in these areas, migration to the cities would be minimized, which indirectly beat urbanization. That in turn would also encourage the preservation of one of the most neglected treasures, the cultural heritage. The effects of migration were not pleasant to those left behind. Alibaba gave hope and a chance to the elders in the rural areas to do business. It gave hope and made life more meaningful and colourful. With that, Alibaba has change mind-set. It conveyed a strong message and gave hope to society. People do not need rich father, they just need persistence and dreams. Alibaba helped people see opportunities in changes. It managed to convert haters of change to embracers of change. It changed the ball game of money making as business primary objective. To Jack Ma, money is the consequence of a bigger picture, the society’s wellbeing. Dr. Tee currently serves as a Senior Lecturer and Chief of Accreditation for Putra Business School (PBS). He teaches Corporate Social Responsibility, Organizational Behavior, and Human Resource Management. One of his many passions is writing cases. Dr Tee has written cases in Journals and has supervised MBA students in writing problem solving-based cases to solve organizational challenges. He is currently Putra Student Association’s (PSA) adviser. As an adviser, he works very closely with students through embedding the value of Human Governance while fulfilling their potential.